Are you ready for 2018? Learn about the three tax planning tips for business owners to take advantage of before the year-end. Has your company declared a bonus for the end of this year? If not, there’s still time to do so. 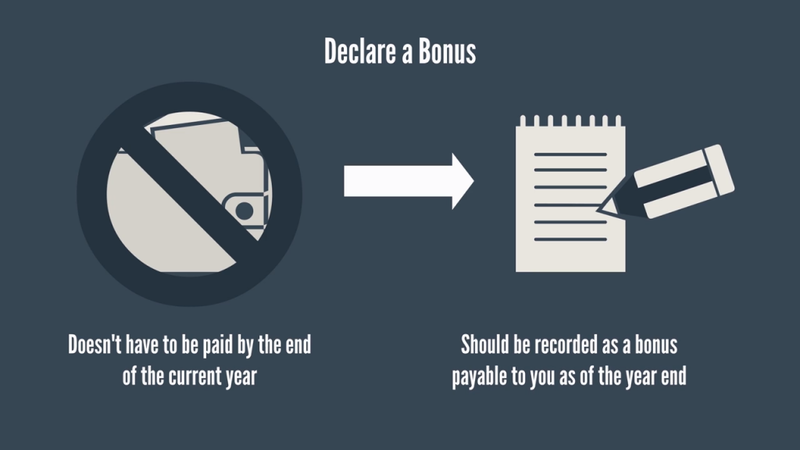 The bonus doesn’t have to be paid by the end of the current year, but should be recorded as a bonus payable to you as of the year-end. By doing so, your company will be able to reduce its taxable income now by the amount of the bonus, and you don’t have to include anything in your income until the bonus is paid to you. According to the Canada Revenue Agency (CRA), the bonus must be paid within 6 months of the company’s year-end, or else it will be disallowed as a corporate deduction! 2017 is the last year that you can pay an unlimited amount of dividends to your family members who are shareholders of your family business. In 2018 and onwards, the government has restricted dividend payments made to family members of the principal owner to a reasonable amount. Reasonableness is assessed by the labour contributions that family members make toward the business. For example, your company could pay your adult child $100,000 of dividends by the end of 2017, even if he/she did not work in the business at all. 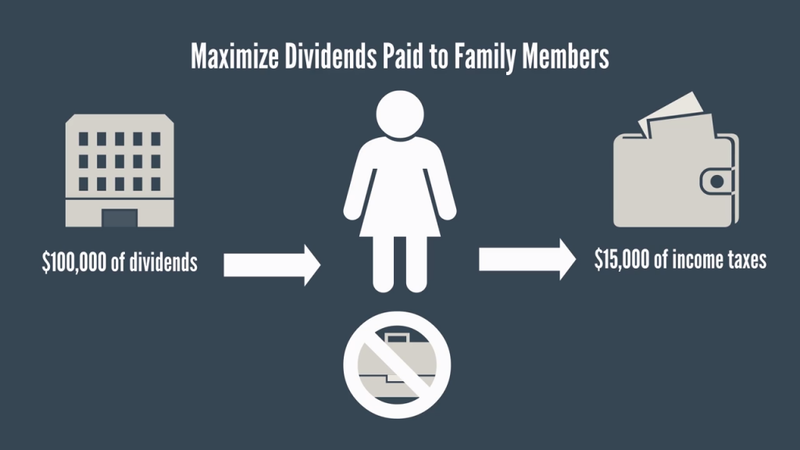 Your child would only pay $15,000 of income taxes in respect of the dividend received, assuming they have no other income in the year. This comes to an effective tax rate of only 15%, which is really low for such a large amount. In the 2018 year, this strategy will no longer work. So, take advantage of it while you still can. 2017 is the last year for capital gains earned by a Canadian Controlled Private Corporation (CCPC) to be taxed at a lower rate of approximately 25%. 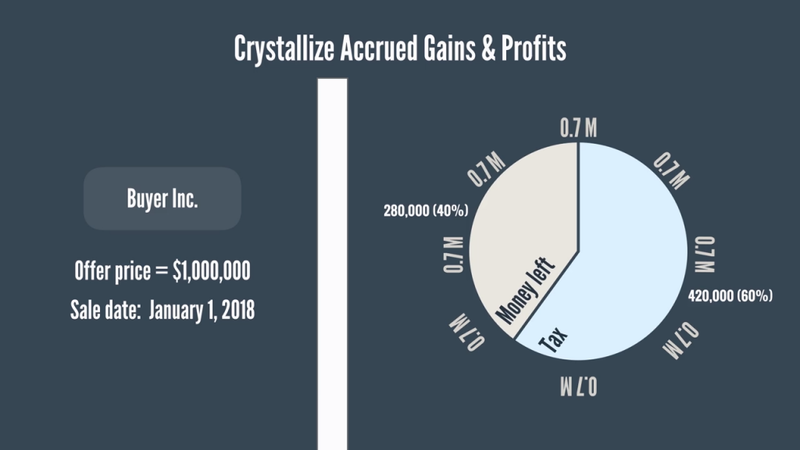 Effective January 1, 2018 capital gains in excess of $50,000 will be taxed at approximately 60%. This higher tax rate only applies to gains from the sale of passive investments owned by a CCPC, such as real estate, stocks, bonds, and mutual funds. 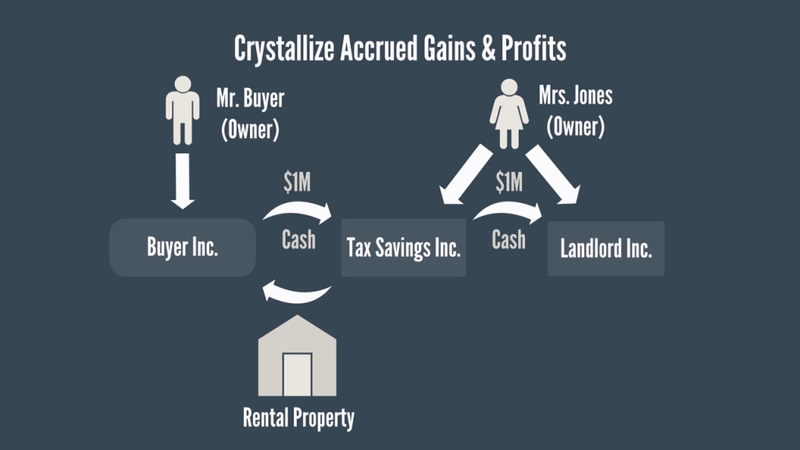 For example, assume that Mrs. Jones is the sole shareholder of a Canadian Controlled Private Corporation called Landlord Inc. Landlord Inc. owns a rental property that it purchased for $300,000 many years ago, and it’s now worth $1,000,000. As a result, Landlord Inc. has an accrued gain of $700,000 ($1,000,000 – $300,000). Landlord Inc. receives an offer from Buyer Inc. for $1,000,000 to sell the rental property, with the closing date scheduled for January 1, 2018. 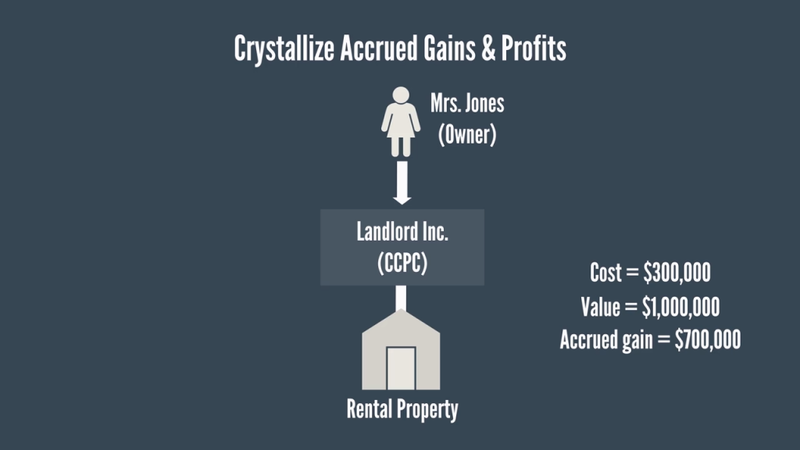 If Landlord Inc. sells the property in the 2018 year, the total tax paid by Mrs. Jones and her company, Landlord Inc. will be $420,000, which is 60% of the gain. 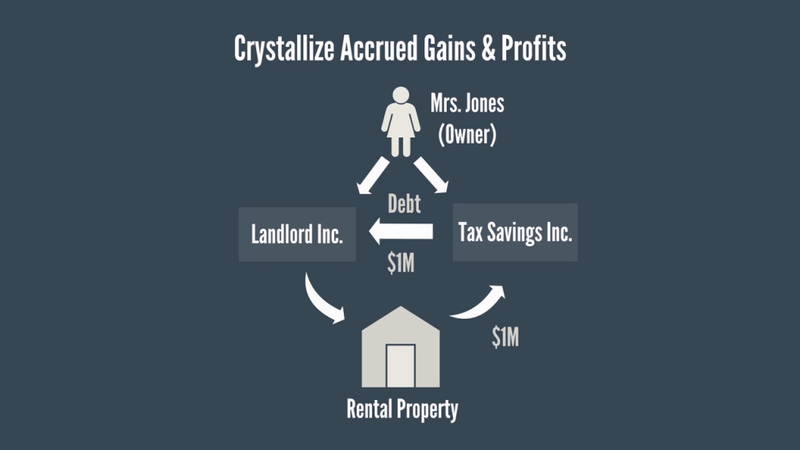 Of the $700,000 profit, Mrs. Jones will only be left with $280,000 in her pocket. Landlord Inc. sells the rental property to Tax Savings Inc. for $1,000,000. Since Tax Savings Inc. doesn’t have much cash; Landlord Inc. agrees to accept payment by the end of next year. Tax Savings Inc. sells the property on January 1, 2018 to Buyer Inc. for $1,000,000, and then repays Landlord Inc. the money it owes. Landlord Inc. will only pay $175,000 in tax, because it sold its rental property to Tax Savings Inc. in the 2017 year. 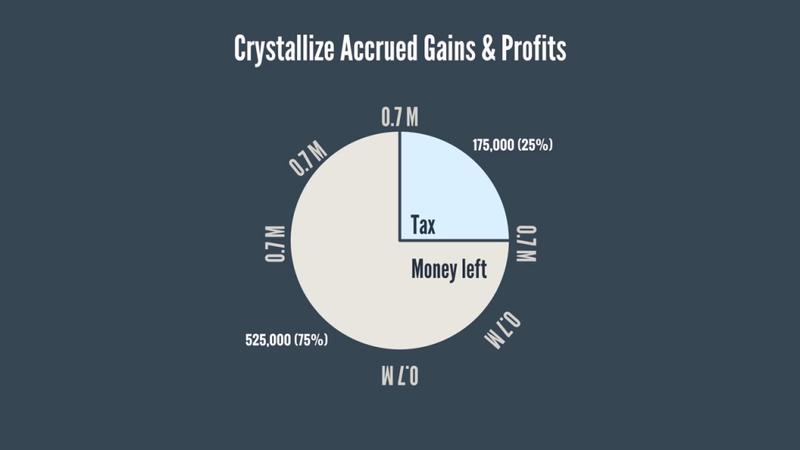 This results in a tax rate of only 25% on the profit made of $700,000. In addition, Tax Savings Inc. will pay no tax on the sale to Buyer Inc. because Tax Savings Inc. sold the rental property for the same price that it bought it for, $1,000,000. In conclusion, you can utilize these 3 tax savings strategies to save taxes before the New Year. What are the Tax planning tips for business owners? Should I Declare a Year-End Bonus or Pay Dividends from Company Profits to Myself? Don’t Wait Till Tax Season – Prep for Your Taxes Now!